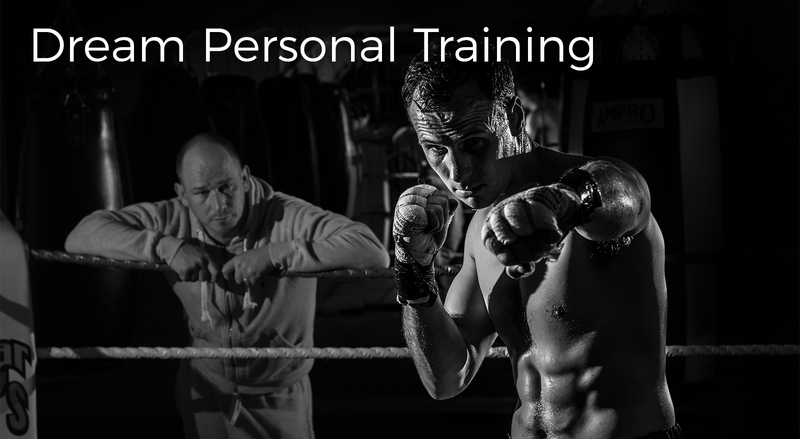 Can you imagine having personal training sessions with one of the world’s leading authorities? Let’s say you were a teenage swimmer, with lofty goals to one day become an Olympic contender. What if by the best fortune you’ve ever been given, you were able to pull in the services of none other than Michael Phelps – who by many measurements is the greatest swimmer of all time – for free, daily, personal lessons at the local pool? Phelps would promise he would assure you he would tell you everything he knows in one-on-one, expert tutelage for two hours a day for many years to come? To a swimmer, the phrase “dream come true” wouldn’t even cut it! Or you were an up-and-coming rock guitarist, and virtuoso Steve Vai was able to clear his schedule for the next year, fly to your hometown, and train you in advanced studies on the instrument every single evening in your basement? Most guitar aficionados would kill for an opportunity like that! What if Doc Brown rode his time-travelling DeLorean back to 1970, recruited Bruce Lee to come back to the present day with him, and dropped Lee off at your house where the martial arts master provided all the Jeet Kune Do lessons you could handle? How about if you could sit across the chess table from the one and only Garry Kasparov, where he would saturate you daily on how to be a chess champion? Or if you were a young astronomer, and Stephen Hawking provided you free room and board at Cambridge University, and devoted his mornings to drench your mind with his encyclopedic findings of physics and cosmology? How about if you had a decade-long internship with Warren Buffet told you everything he knows about business and investing and personally took you every step of the way as you worked towards becoming financially stable? I could go on and on, but I trust you get the point. Imagine picking any field…any area of interest that you might have, find the world’s leading authority on it, and be privileged enough to get personal guidance. There’s no way you would miss any of these lessons. Now, imagine if any of the aforementioned opportunities actually afforded themselves to you…you would probably blow them off, right? WHAT?!?! Are you crazy? Of course not! You would probably go as far as selling your grandmother Sally and your beloved basset hound named Fred to make any of these lessons! These are once-in-a-lifetime chances to be mentored by the finest in their field. You would probably set your alarm clocks early, shower and be ready to go hours before start time every day. You actually have a fantastic opportunity like this right now, but chances are you’re not taking advantage of it. Think any of the above scenarios listed above are tantalizing? I’ll do you one better! What if you were able to be the apprentice of the wisest man who ever lived? Personal, daily discipleship with someone so smart and clever that he actually knows you better than you know yourself…someone who has literally known you all of his life and knows exactly what makes you tick? What if you could sit at the feet of the master of all things? Someone who is more dedicated to being there for you than any best friend on earth could be? Someone with guaranteed answers to any of the vast multitude of questions that life will throw at you, where you would be prepared for the lowest of lows? Someone who is literally the author of life? Someone who knows exactly how your life will transpire and promises to be there every step of the way with you? Someone who is infinitely more reliable than any life coach, self-help guru, financial adviser or so-called expert out there? 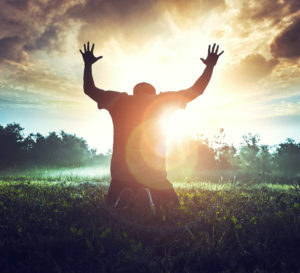 Dream Training – Why not submit to the Lord Jesus Christ every day? You can pretty much conclude that I’m referring to God, and you are correct. We Christians have the benefit of sitting at the feet of Jesus Christ and have the supreme privilege of submitting ourselves to His Lordship, His direction and His wisdom. Now, would we turn down personal, one-on-one time with Him on a daily basis? The sad fact is, millions of Christians (I can include myself in years past) do this every day. We get up, spend an absurd number of hours on our smartphones, binge-watch too much Netflix, and then cram work, family, exercise, shopping and everything else in our regular grind with not a minute to spare by the time our heads hit our pillows, all while setting aside zero time for the One whom we claim we’re a follower of. How can we proclaim, “Lord, Lord!” (Matthew 7:21-23) if we don’t seek Him? It’s beyond lamentable that we are wasting such an amazing opportunity and the absolute best possible use of our time every day we choose to skip praying and digging into His Word. There’s a story in the New Testament that illustrates this point rather well. Found in Luke 10:38-42, it speaks of the time that Jesus and the disciples visited the home of sisters Martha and Mary, along with their brother Lazarus. In this account, we get a quick glimpse of Martha hurriedly working to make preparations for all of the house guests, perhaps doing tasks like getting refreshments and drinks, all by herself. While she was running around frantically, her sister Mary simply sat at the feet of Jesus while He spoke, listening intently (verse 39). Those are all important in life and have their place, all to varying degrees. However, the most important time we have is time with God. Make your relationship with Him your number one priority. Pray to Him. Spend time in His Word. Meditate on Him. Quiet yourself and let Him speak to you and let His Spirit work on your heart. Although salvation is a free gift that we can never work for (Ephesians 2:8-9), being a disciple of Jesus involves much, much more. Put Him first. Draw near to Him every single day with a humble and sincere heart. Carve out time with Him first, and then schedule everything else around it. Soak in His words, and let them wash over you. The benefits are staggering, as God will transform every area of your life and make you the son or daughter He has created you to be.